If you thought, it is the feature phone segment that is loosingheavily to Smartphones, you should sample the Click and Shoot sub Rs.10K compact cameras. 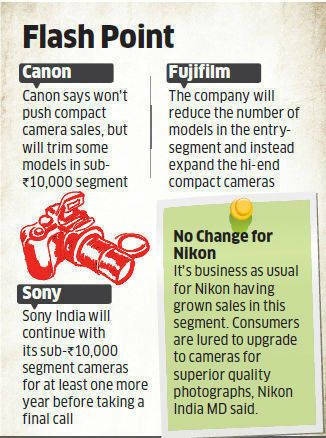 I had earlier covered fall in worldwide sales numbers of Point & Shoot Cameras 6 months back. Even big guns (Deepika Padukone, Anushka Sharma, Priyanka Chopra) and high budget, high decibel TV advertisements have been able to turn the tide for the Sub 10K Compact camera (also known as Point & Shoot Cameras) Category. 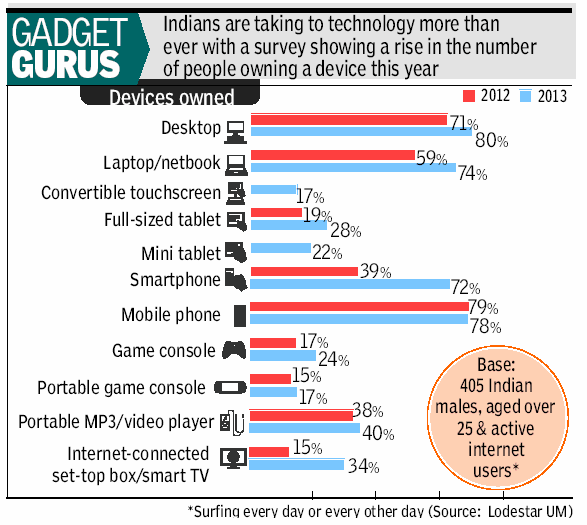 Reeling under the relentless onslaught of Smartphones, the demand for the category is drying up and how. Digital SLRs in the same space have grown by 30% in 2013. 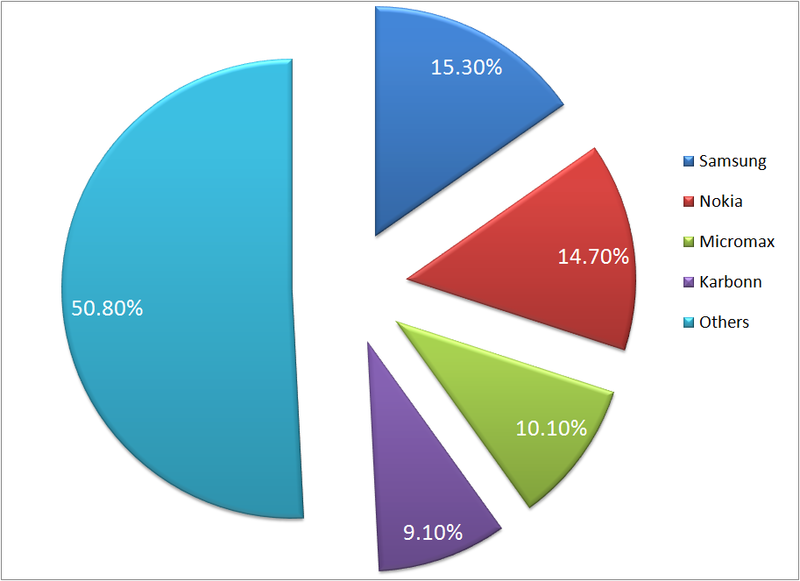 What is interestingto note is the sudden death in the numbers in the category across all major players. 1. 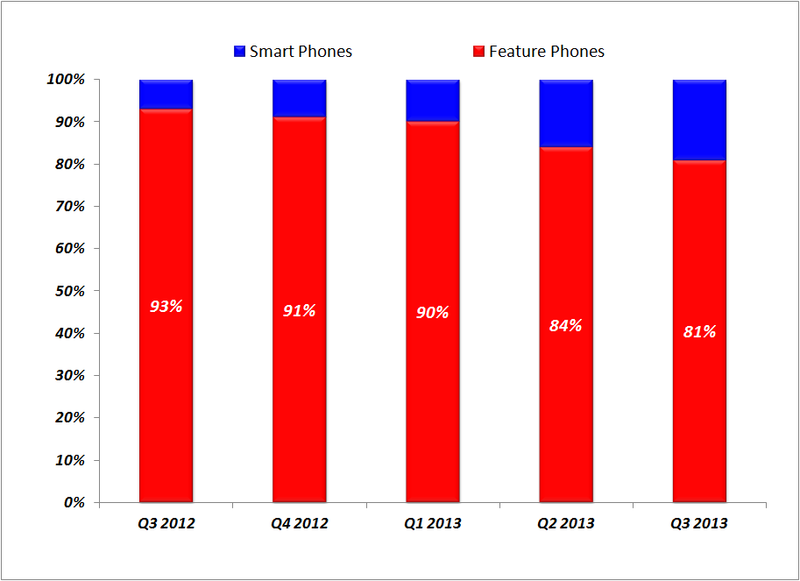 Smartphone shipments to India exceeded 10 million units mark for the first time in Q3, 2013. For Q3, 2013, the numbers stood at 11.10mln mark. 4. 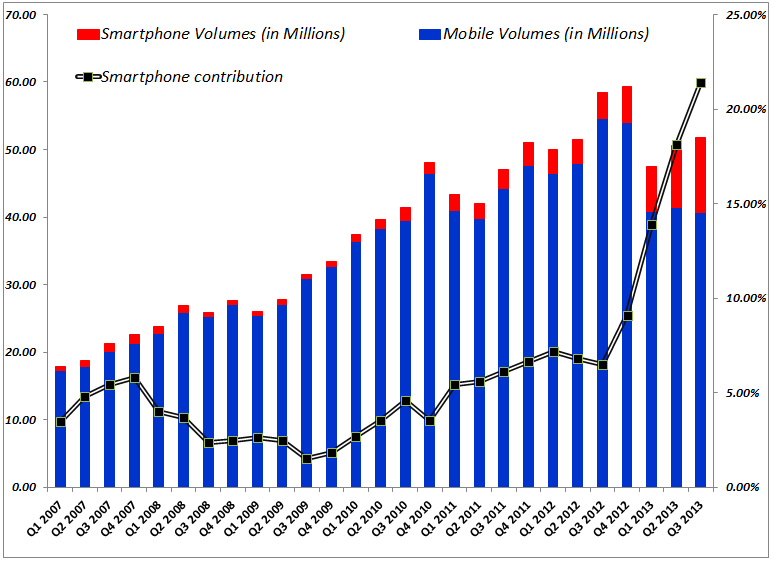 Mobile phone markets in India have moved past the historic highs of 58-59 mln units/quater(Q3/Q4 2012). Smartphones have now acquired the critical mass and threshold pricing (~Rs.3500-5000) to capture mass markets in India substituting the feature phone. 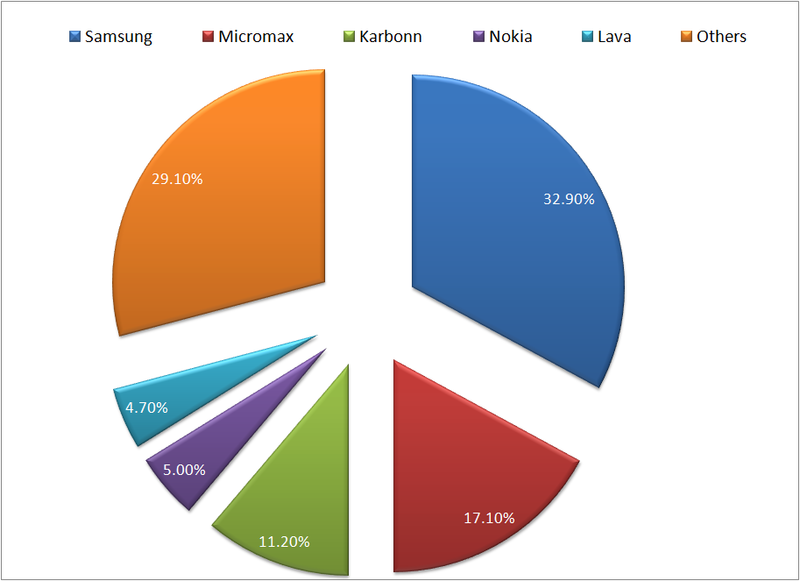 The change agents for this rapid shift of consumer preference towards Smartphones have been the narrowing price gap between feature phones and smartphones. 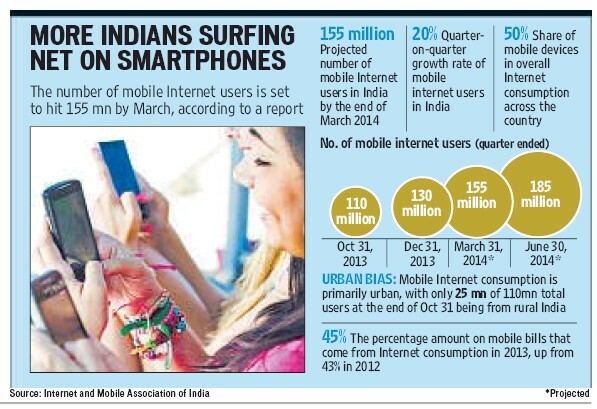 Correspondingly, the number of internet users on handhelds (Smartphones) is expected to grow exponentially as per a recent IAMAI report which pegs a 20-30 million increase in internet mobile user base every quarter.